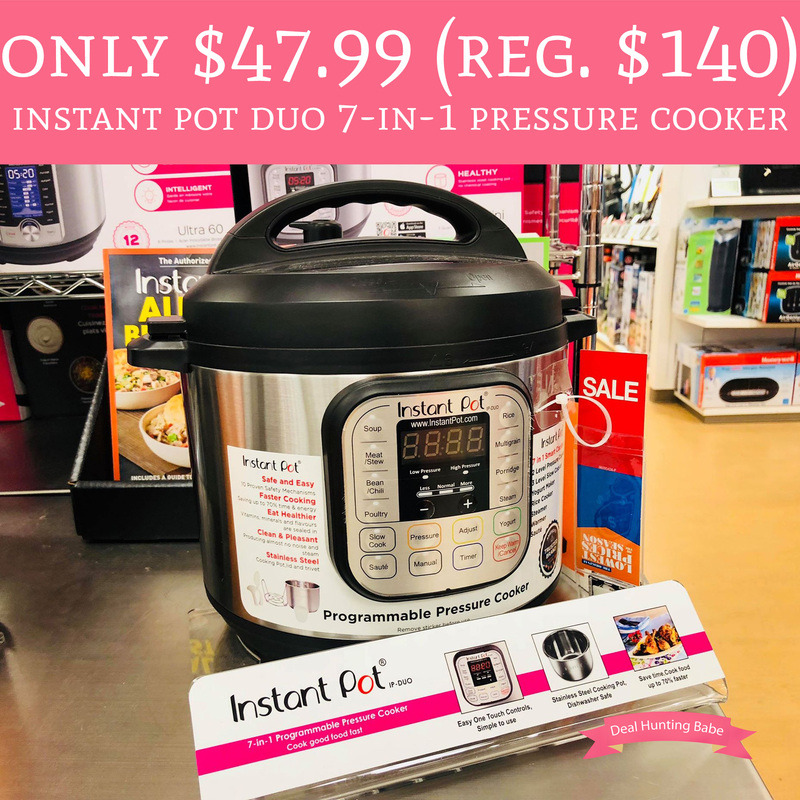 Today 9/13 only, head to Kohl’s.com where you can score Instant Pot 6 Quart 7-in-1 Programmable Pressure Cooker for as low as $47.99 (regular $140). The Instant Pot is currently on sale for $99.99 and we have a nice quadruple stack savings! Score 30% off with promo code CRISP30 (30% off with your Kohl’s Card), use promo code ONEDAY10 ($10 off your $50 or more Home purchase) and receive $10 Kohl’s cash for every $50 you spend. Additionally, select customers will receive an additional $5 Kohl’s Cash when you choose FREE store pick up. If you are a select customer, the image below will show in your cart.